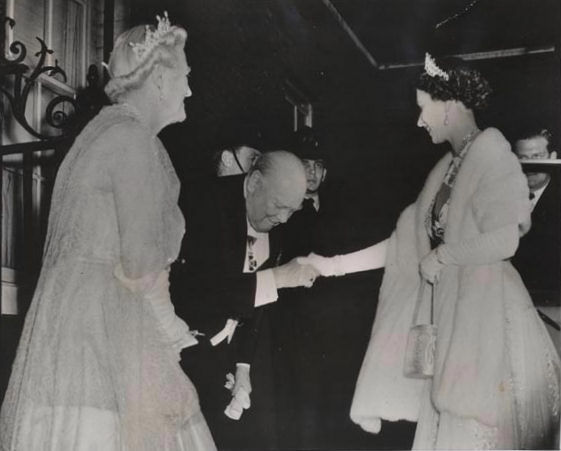 In his ascension, Churchill went straight to the zenith. In him, the most diverse forms of intelligence, political cleverness and courage gradually appeared and shone; and they did so more and more, as the contingencies of the fight demanded. When the war was over, Churchill was the most famous of the winners. 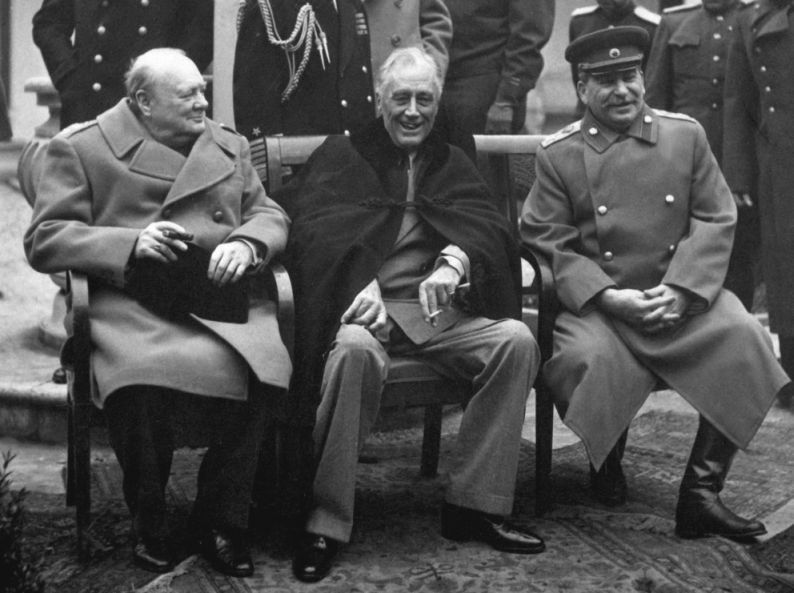 Conference of the Big Three at Yalta, the final plans for the defeat of Germany. Here the “Big Three” sit on the patio together, Prime Minister Winston S. Churchill, President Franklin D. Roosevelt, and Premier Josef Stalin. February 1945. Obviously, being very expressive is not enough for a person to shine. He also needs to express something worthwhile. The old English lion did so abundantly. His bald head reflected a vigorous and subtle diplomatic thought. His eyes – there would be so much to say about them! – expressed successively fascinating depths of observation, reflection, humor and aristocratic gentleness. His broad muscled cheeks lost nothing of their vigor with age. They looked like two facial buttresses, vigorously framing his highly intellectualized physiognomy. And they gave his face something that displayed an almost perpetual resoluteness and stability, an expressive symbol of the centuries-old strength of the English monarchy. His lips, thin and uncertain in their contour, seemed to accompany the movement of his eyes and thus were always ready to open up to utter an ironic saying, a slogan, to make a monumental speech … or smoke a cigar. 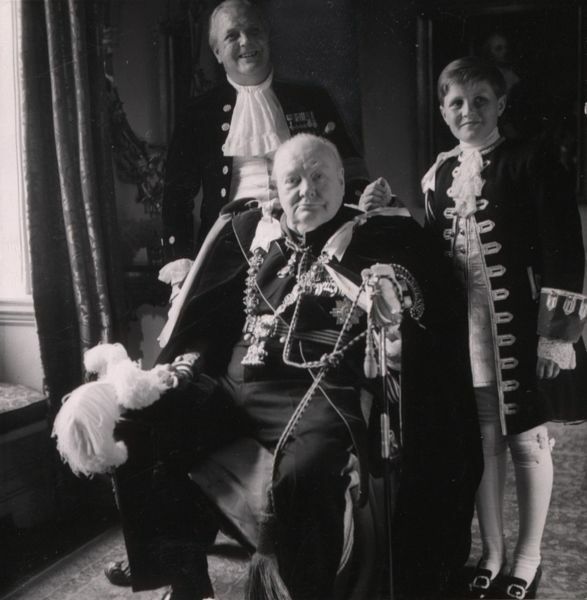 Sir Winston Churchill, with his son Randolf and grandson in ceremonial robes. Churchill was related to John Howland, one of the passengers on the Mayflower and his descendants have been associated with the Boston Brahmins. 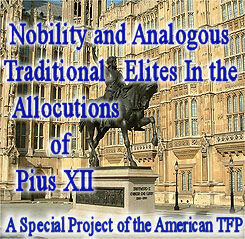 From his marriage to Elizabeth Tilley they founded one of the three largest progenies of Mayflower decedents. I feel I would not be describing Churchill entirely if I failed to mention another feature. An authentic member of the English gentry, he was properly speaking adorned with the manly charm of a high-class aristocrat. 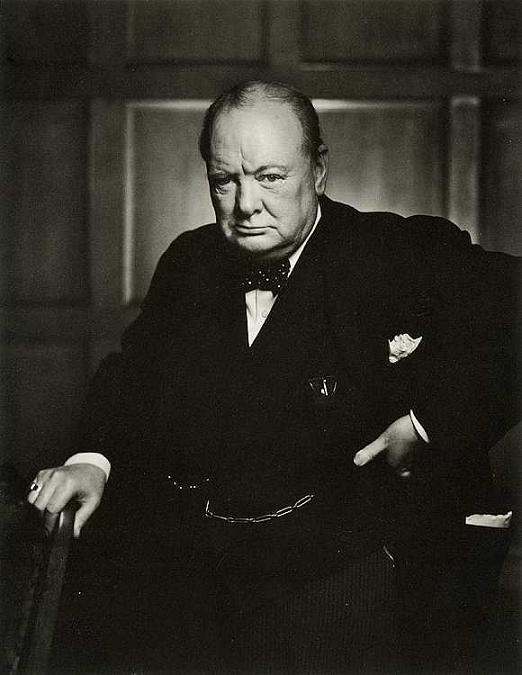 In Churchill came together the scintillations of university culture, journalistic talent, parliamentary oratory, and military glory, in addition to a disconcertingly positive and active attitude typical of American businessmen from the “belle-époque”. In fact, his mother was a Yankee, daughter of a vigorous self-made man. 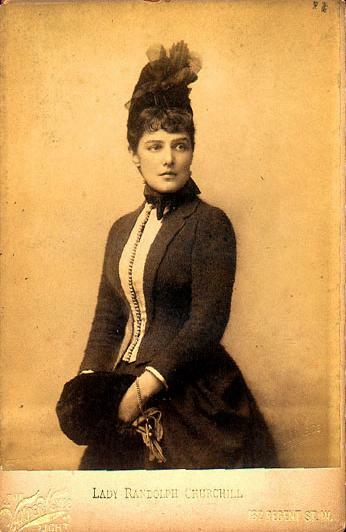 Jennie Jerome in the 1880s, later to be Lady Randolph Churchill, Mother of Sir Winston Churchill. Conversing once about Churchill with Archduke Otto of Habsburg, he had this lucid comment: It is in the order of things, even among vegetables, that gigantic specimens should appear from time to time in this or that variety. They are phenomena of nature. Churchill was one of them. Excerpts from an article in Folha de S. Paulo, December 19, 1977. Without revision’s Author.